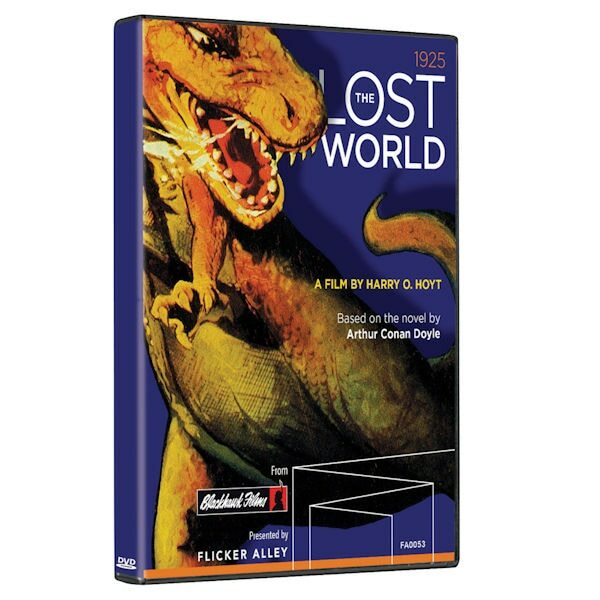 Before King Kong and Jurassic Park, there was Harry O. Hoyt's 1925 silent film The Lost World. Based on Arthur Conan Doyle's adventure yarn, it was a Jurassic hit. In 1929, the 10-reel version disappeared from circulation, and only abridged editions remained—until now. The most complete version of the film ever released, this 2K restoration features newly discovered scenes and special effects sequences, a new score, and many extras. 2 hrs, 1 Blu-ray disc. Silent with English intertitles. • Audio Commentary: Feature-length audio essay by Nicolas Ciccone, amateur filmmaker and film historian. • Deleted Scenes: Restored outtakes from a 1925 original nitrate transfer of The Lost World. • R.F.D., 10,000 B.C. (1917): Short film directed by Willis O'Brien for producer Thomas Edison. • The Ghost of Slumber Mountain (1918): Short film written and directed by Willis O'Brien in a new 2K restoration by the Dinosaur Museum. • Creation (1930): Unfinished film directed by Willis O'Brien that nonetheless convinced Merian C. Cooper to hire O'Brien for King Kong. • Image Gallery: Featuring original production, exhibition, and promotional materials. • Booklet Essay: "The Lost World: Secrets of the Restoration" by Serge Bromberg of Lobster Films.